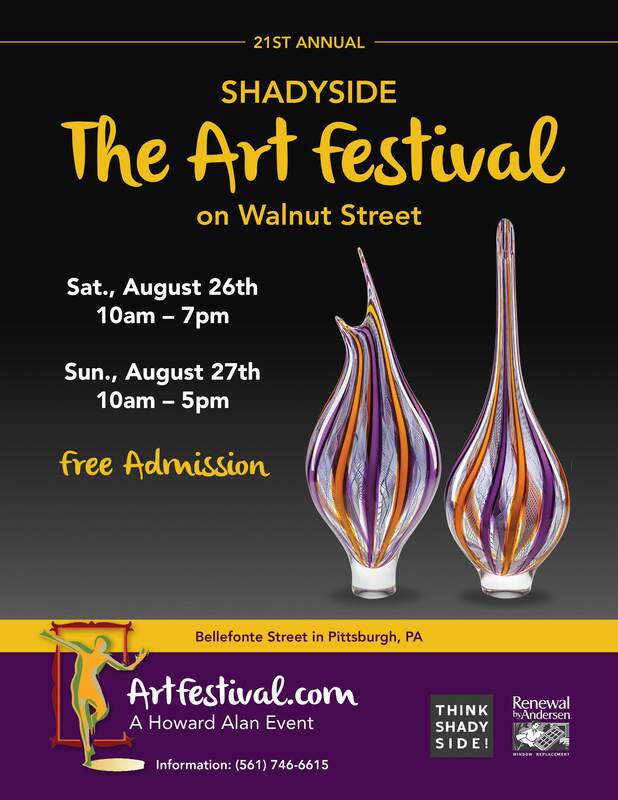 For 21 years now, Shadyside has been home to the annual “Art Festival on Walnut Street”, a celebration of local artists, crafters, and much more. On Saturday, August 29th from 10am to 7pm and Sunday, August 30th, from 10am to 5pm, you can experience one of the top art shows in Pennsylvania — free to the public! Organized by Howard Alan Events and the American Craft Endeavor, the festival of fine art hosts 140 artists, all of whom create their own, hand-made artwork. Now is your chance to speak to them, exploring their inspiration and passions. After leaving his career as a chiropractor, Howard Alan began working in retail, featuring 40-50 artists and crafters on consignment in his store. To gain more foot traffic, Howard positioned a large, lovable gorilla statue outside of the store, adding some humor with a sign stating that gorilla was running for Mayor. Let’s just say, the current Mayor was not pleased and Howard got into a bit of trouble… But, nothing is without a lesson learned, and from this, Howard realized that he had a real knack for advertising and public relations. Thus, Howard Alan Events was born — a public relations and advertising agency specializing in art show promotions. Fast forward to today, where Howard runs 40 annual juried art shows and annual craft shows across the country, from Pittsburgh to Aspen. These popular outdoor festivals, like the one in Shadyside this weekend, are considered some of the top art shows in the country. All the more reason to add the The Art Festival on Walnut to your must-see list of summer fun! A wide array of artwork will be present, from paintings, pottery, and photography to jewelry, woodworking, and sculpture. Franklin West Inc. is an avid supporter of the arts in its many forms, and are delighted that such an event is held so close to many of our apartments. For more information, and to see some of the wondrous art that will be on display, visit the event site here. Embark on a Porter Brewery Tour! Looking for a break from your normal weekend go-tos? Love a good libation with friends? Not not just any ol’ drink, but an effervescent brew? Then come celebrate Pittsburgh’s local craft beer culture with the Porter Brewery tours! 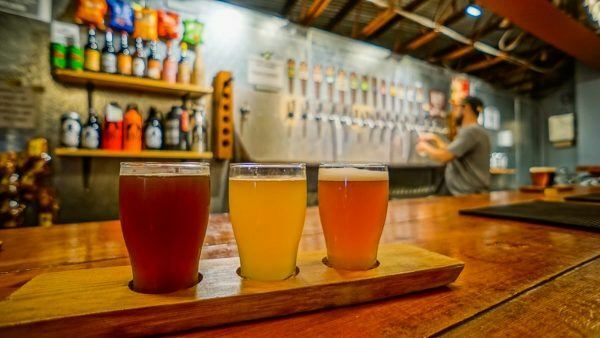 You’ll get a new taste of the city by sampling pints at 3 amazing local breweries over a course of 3 hours. Breweries include, Dancing Gnome, Grist House, East End, and more! Porter Brewery offers tours every Saturday and Sunday, stopping at 3 different renowned breweries. The price of your tour ticket includes about a pint of beer at each stop, though each guest is welcome to purchase additional beer by the pint or the growler. Three stops, three pints, three hours — looks like 3 is the magic number! Tours also include water and popcorn on the bus, so you can munch between breweries and stay hydrated. But, if you’re still feeling hungry after you exit the disembark the beer bus, you’re in the luck — you’ll be dropped off right outside either the Ace Hotel, home to the Whitfield, or James Street Gastropub. – Arrive at the bus 10 minutes early to check in, find a seat, and get ready for great beer. – Cancellations or changes must be made 24 hours before the tour. 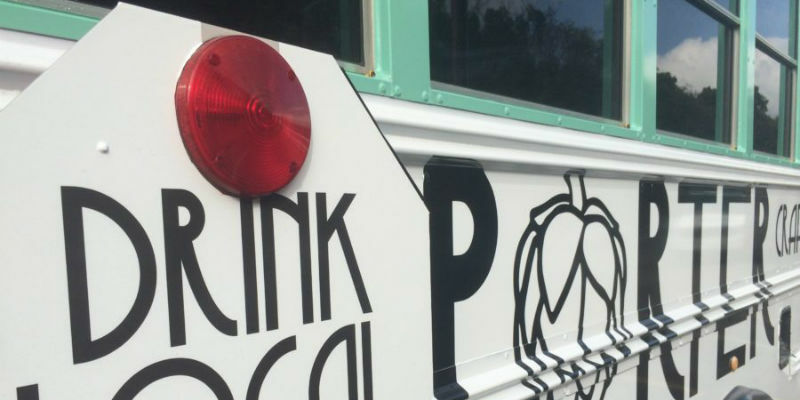 – There is plenty of beer, but please remember that this is a celebration of local craft beer and not a party bus. – Breweries may change at the last minute due to availability, Pittsburgh sporting events, and other scheduling conflicts. For more information or to purchase tour tickets, visit their site, here. 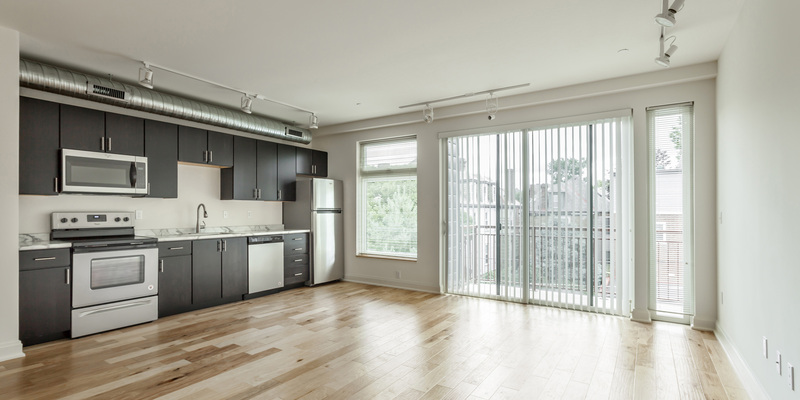 Announcing Our Newest Luxury Apartments — NOW Available! 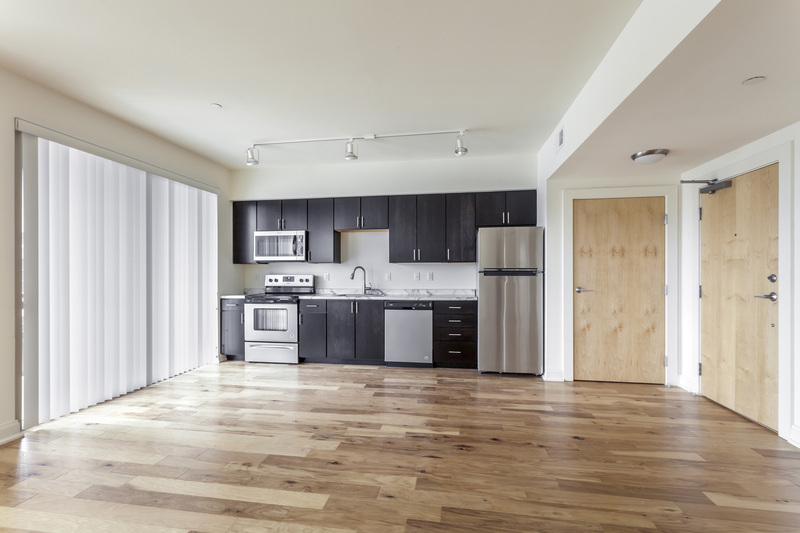 We are absolutely thrilled to be announcing our newest apartments in the heart of Pittsburgh’s East End! A chic, contemporary exterior welcomes twelve one-bedroom and loft-style apartments, all of which are ready to say “Welcome home!” to new residents. That’s right, this stunning building is ready for immediate occupancy! 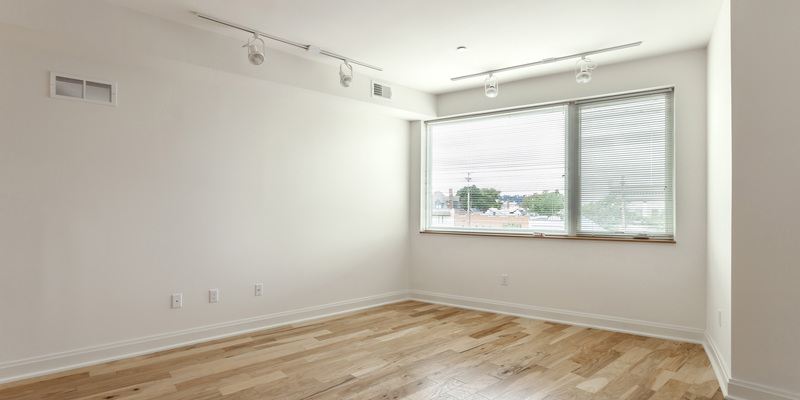 Located near University of Pittsburgh Medical Center area hospitals, and only a few blocks from Shadyside’s popular retail shops and restaurants, these residencies are at the center of Pittsburgh’s very best. Convenient access and quick, walkable routes to such top-rated locales are an urban-lovers’ dream. But the tree-lined streets and sidewalks of this historic area lend a cozy, suburban feel to the otherwise effervescent neighborhood. No matter where you turn, there is something to see or do in Shadyside, and we always want to reflect this personality and love for life in our apartments. This newest building is certainly no exception. Bike storage, garage parking, and washers and dryer in each unit are just a few ways we work to benefit our residents’ active lifestyles. 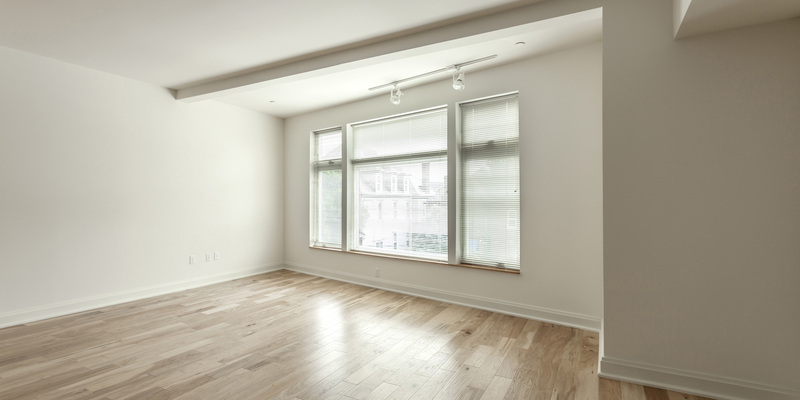 For more information, please visit our website here or call our Shadyside website at 412-661-1151 for current apartment availability and rental rates.